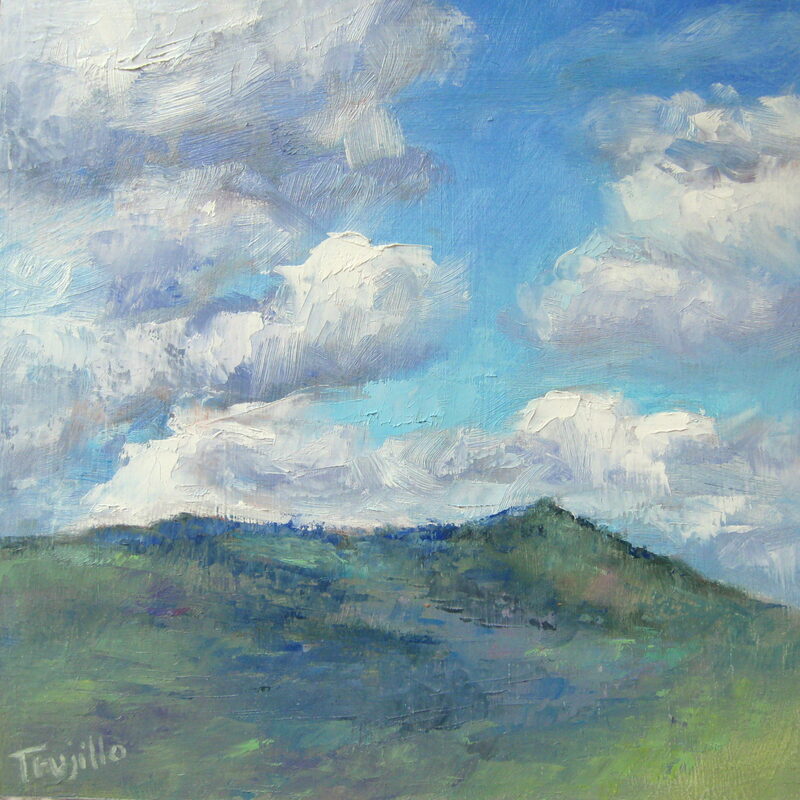 First Friday Shows and New Works by Silvia Rothschild Trujillo - Art Matters! During the holidays (and all year ’round), do you ever find yourself needing to slow down but you just can’t? I think this is one of the divine purposes of art… to bring us to our senses in the most literal way, and create a sense of awe out of something as simple as oil on canvas. We are surrounded by beauty that begs for acknowledgment. It can be blatant as a snow-frosted peak on a spring morning, or as simple as objects on the kitchen counter. These painting communicate mood and a sense of time by coloring the light and shadow of each season, scene, and still life. My aspiration is to invite the viewer to stop for a second look by invoking the awe in the everyday and the commonplace. This show features new work in all sizes. 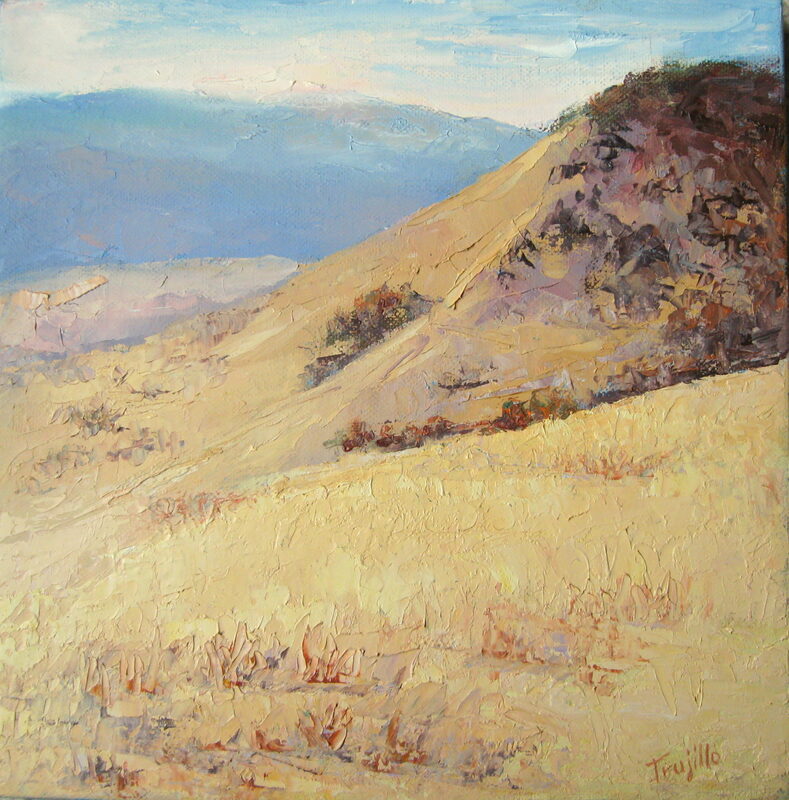 Most are en plein air and represent my range of style as well as the extreme conditions a plein air painter must endure! 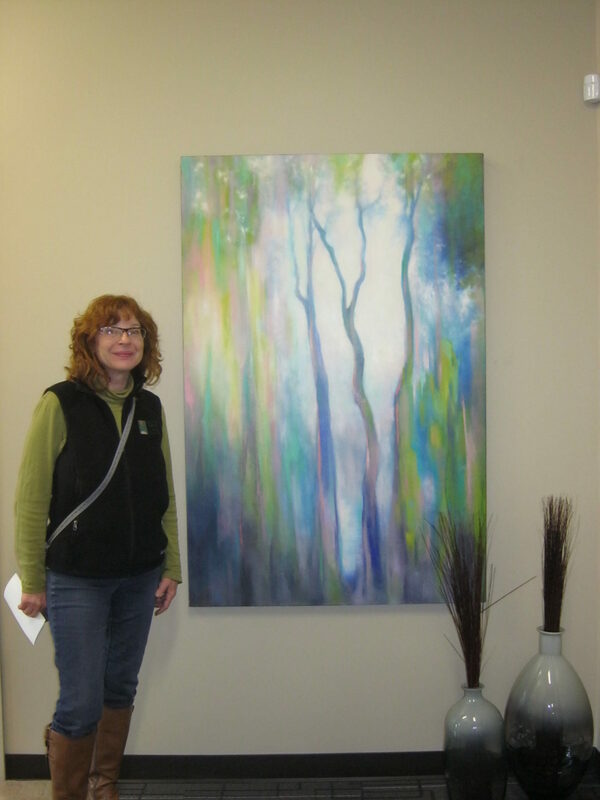 Come down to the grand opening on First Friday, December 1st at Art & Soul Gallery, 247 E Main St, from 5-8 pm. There will be wine, food and live music by a talented local guitarist. If you can’t come to the opening, don’t worry — all the work will stay up through the end of the month. It’s never too early to think up a new years’ resolution that will truly enhance and enrich your life. How about “Make more art”? “Grizzly Peak Reposed” is the first in that series. 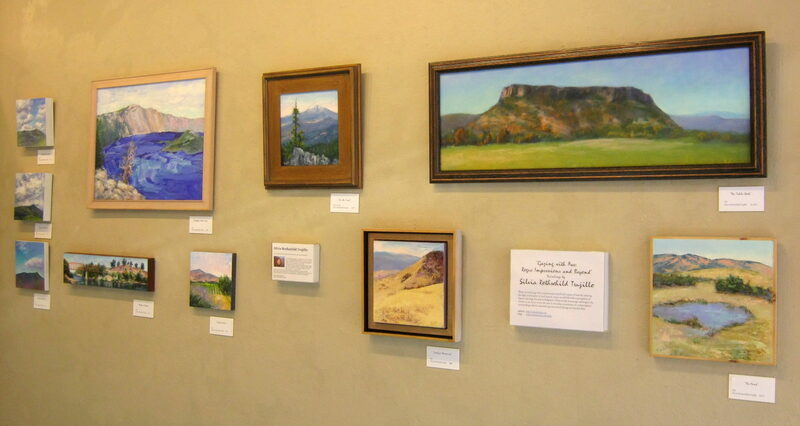 You can see images of all the Grizzly Peak paintings on my blog. 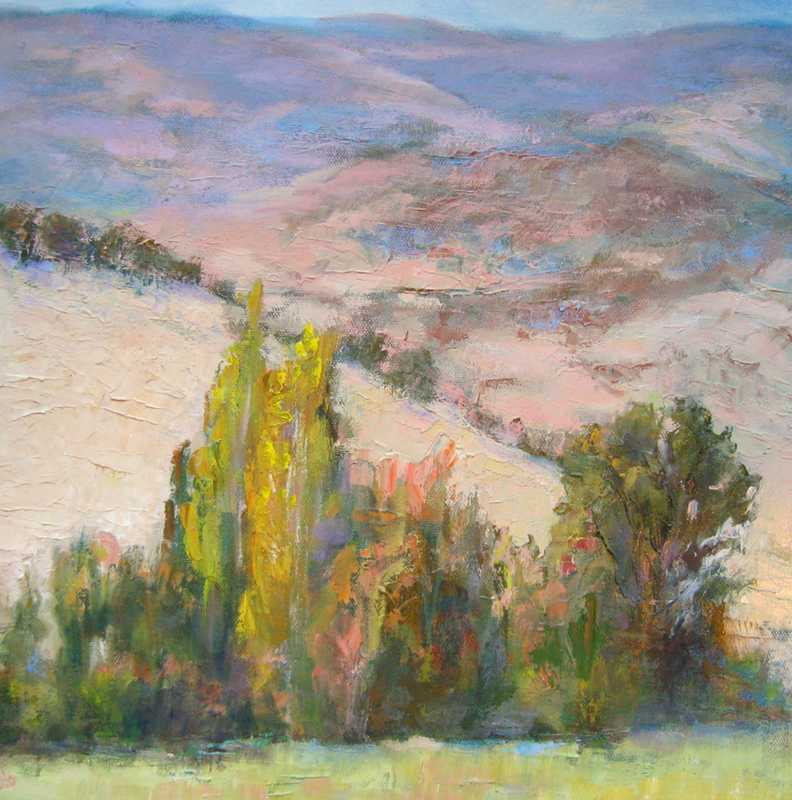 Also, a demonstration in Grants Pass for the Josephine County Arts Association in March, and one in the Sacramento area for the Lincoln Hills Painters Club in April. It’s shaping up to be a busy year. This spring, I will once again be participating in the Teen Mentoring Project through Rogue Gallery in Medford. This wonderful program gives talented at-risk teens the opportunity to explore their creativity and refine their skills in their chosen medium under the guidance of an experienced artist. If you can’t make it to a workshop, please bring the art to you by purchasing my work online. In this crazy world, we all need more beauty and stillness in our lives, and I humbly believe my paintings do offer that moment of sanity each time you visit them. A large commissioned work I created for the Oregon Retina Center. This is just one of a three-part series of this size! Check out my new listings on eBay and Zatista. Wishing you a happy, peaceful holiday season…. 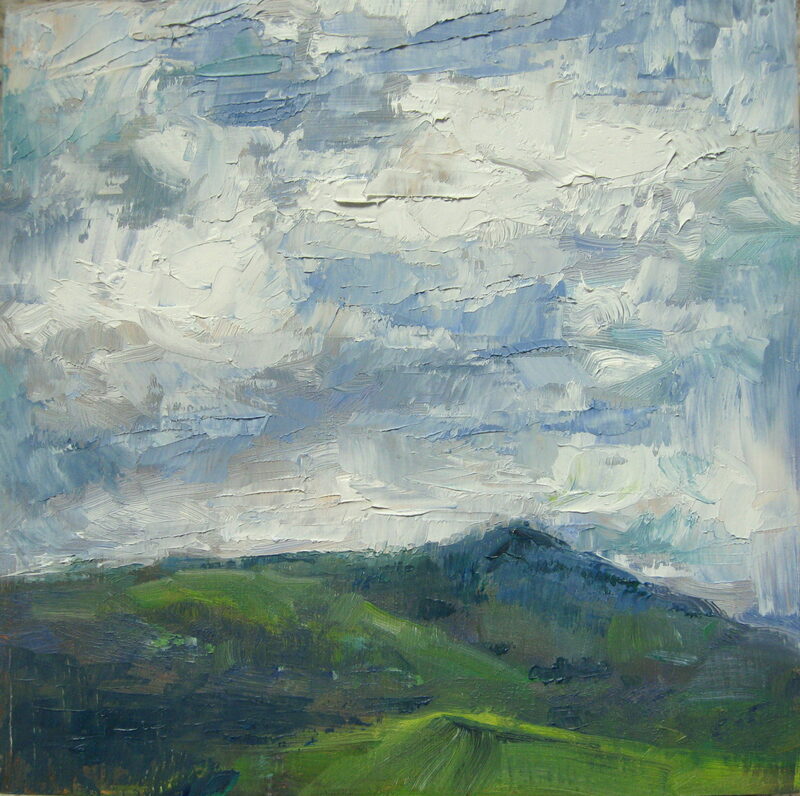 “Turbulence over Grizzly Peak” is one of a four-part series of paintings I did this spring from my studio’s driveway.